Bet3000 is an online bookmaker you probably haven’t heard of. The bookie isn’t as popular as the best and most visited on the betting market, but it’s still one of the top 100 places to bet on sports. Bet3000 started out in 2009 and were run by the IBA Entertainment Ltd Company. The business itself is founded by Simon Springer – a very experienced bettor with more than 30 years in horse racing and sports betting. Even though the platform is relatively new, for the six years Bet3000 has been online it has gathered quite some loyal followers. The company is licensed in Malta and operates under Maltese jurisdiction. Getting a license in Malta is easier than most other countries, but it’s still a sign of trust and fair play. 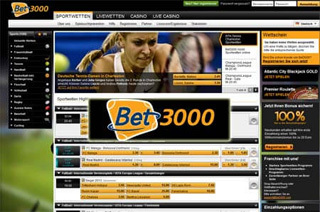 The popularity of Bet3000 has dwindled a bit in the last months, but it’s still in the top 200000 global websites. In Germany, however, the website is among the top 10000 visited places on the Internet. The players are mainly German – about 75% – followed by visitors from the United Kingdom. The website design is quite crisp. It uses black, white and dark yellow for the highlights. The elements are clearly visible and easy to use. The middle of the website shows sports highlights, live events, and top odds. The left side contains the full list of games available for bets. The right part has bonus offers, deposit methods, and a support section if the need arises. The only design downside I see is that the casino games section is inaccessible from the main page. Bet3000 also offers a nice and clean app in the iPhone app store. It’s quite high and allows players to bet while on the move. If you have to get out often, but you love to gamble – the app is the perfect option for you. Bet3000 is mainly a sportsbook. The website offers a large variety of sports to pick – from football and basketball to darts and badminton. The overall number of games available for bets is 17. There are always over two hundred markets available for betting so you will never have a slow time with Bet3000. The online bookie offers a wide variety of live betting options, too. If you are one of those people who love the ever-changing options of in-play betting, you will not be disappointed. There are numerous ways to top your bank account up if you are good in sports betting and if you can watch the game being played. Bet3000 has a nice small casino games section, but it is currently not accessible from the website. Most probably, the bookie is introducing updates to the interface or the games, and the casino will be back up soon. Otherwise, the section contains about 40 various games, divided into the table, slots, 3d slots and video poker. The most played games are the Common Draw Roulette, Aztec Treasures, and Slots Angels. All the games are easy to get into and offer some excellent payouts and jackpots. Bet3000 strives to keep competitive odds, compared to other online bookmakers. The number of betting options is pretty high. Some of the more popular options are 3-way, Over/Under goals and Double Chance. The most well-paying options are the correct score and 3-way and Over/Under for the underdog team. The payout rates can go up to 150 to one – quite beautiful! You will not find Asian Handicap here on Bet3000’s website, but the other betting options more than make up for its lack. Bet3000 utilize an excellent SSL encrypted connection, ensuring your data and money transfers will be safe from malicious attacks. This type of defense has become the norm nowadays, and it’s a good thing the company cares about their customers. The customer service of this online bookie is the feature that needs to be developed more in the future. Sadly, at this point, you can only get your questions answered through e-mail. Bet3000 does not offer telephone lines or live chat features, which is a bummer. However, the website supports seven languages – English, Spanish, German, Greek, French, Russian and Turkish. The number of languages is quite good and covers a large part of Europe. Bet3000 only accepts the Euro currency. Depositing money is done through Visa and Mastercard cards, as well as other methods which can be seen in the table. Withdrawing funds from your account can be a bit tedious since it’s only done through a bank transfer. A lot of people are unhappy with the payment times, but they receive their money at some point. If the slow payout rate is not an issue for you, Bet3000 has a lot to offer. All the currencies which the bookie operates with can also be seen in the table. 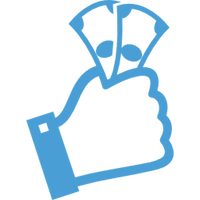 The bookie offers a new account bonus consisting of 100% extra up to 20 Euros. This means if you deposit 10 Euros you will get ten free on top of that. It’s not a big gift, but it’s a good start for recreational punters. Sadly, Bet3000 don’t offer a loyalty program, but you can be their online affiliate and gain bonuses for every referral you make to their website. You can choose to be either an affiliate or a franchise partner.